If you haven't already heard, we have even more sad news. 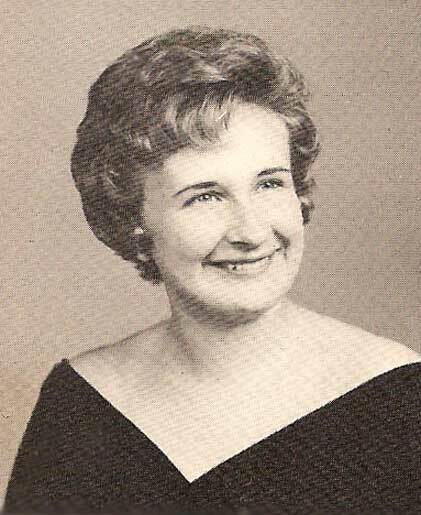 Leah Rosenwasser, mother of Myra Rosenwasser Kahn ('58) of FL and David Rosenwasser ('64) passed away on Tuesday. She was also the aunt of Meyera Ellenson Oberndorf ('58) of VA, William Schwartz, and Donald Schwartz ('62) of IL. Many of you will remember her from the Riverside Hospital Pharmacy Department, where she worked for many years. (Here is a link to) David Rosenwasser's mother's obituary. He graduated with us in 1964. Just received from Linda Lane Lane ('64 - of VA). Bummer. Thank you, David. This is sad news. Did you happen to catch the Daily Press today? David Rosenwasser's mother died on Tuesday. The service was today. I remember her from working in the Pharmacy at Riverside for many years. She was a delightful person and over the years kept more than one MD straight. After her retirement, I saw her often in the kitchen at the Jewish Community Center. What a true Lady. I tried to send this to Carol but I have not been able to get any mail to her or receive anything from her for months. Thank you, Linda. We must find out what is causing the difficulty with the emails. That shouldn't be. NEWPORT NEWS - Leah Rosenwasser passed away on Tuesday, Jan. 24, 2006. She was born Sept. 11, 1911, in Baltimore, Md., but was a lifelong resident of Newport News. Leah was a graduate of the University of Maryland School of Pharmacy. She retired from Riverside Hospital Pharmacy Department. She was an active member of Adath Jeshurun Synagogue and was a past officer of the Ladies Auxiliary and a member of the National Council of Jewish Women. She was preceded in death by her beloved husband, Hy Rosenwasser and a granddaughter, Lynda Kahn. Survivors include her daughter, Myra Kahn and her husband, Joel; her son, David Rosenwasser and his wife, Susan King. In addition, she is survived by four grandchildren, Gary Kahn and his wife, Tammy, Steven Kahn and his wife, Dana, Nancy Moore and Sarah Wilson; six great-grandchildren, Gabe, Owen, Lydia, Julia, Sabrina and Zoe; niece, Meyera Oberndorf and two nephews, William and Donald Schwartz. A funeral service will be conducted at 1 p.m. today at Peninsula Funeral Home with burial to follow in Hebrew Cemetery. Published in the Daily Press on 1/25/2006. David, I am so sorry to hear of your mother's death. It is so difficult to lose the person who has been in our life since the beginning. The person who protected, guided and loved us without conditions. May the good memories of your mother comfort you during this time and in the months and years to come. Our deepest sympathies are extended to Mrs. Rosenwasser's family and many friends at this time.